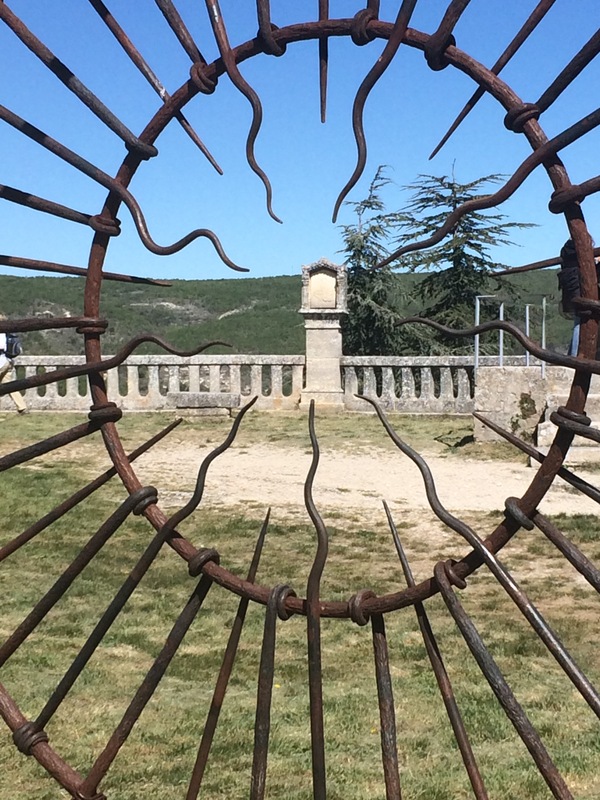 A market, a Citadelle & difficulties with what to wear. 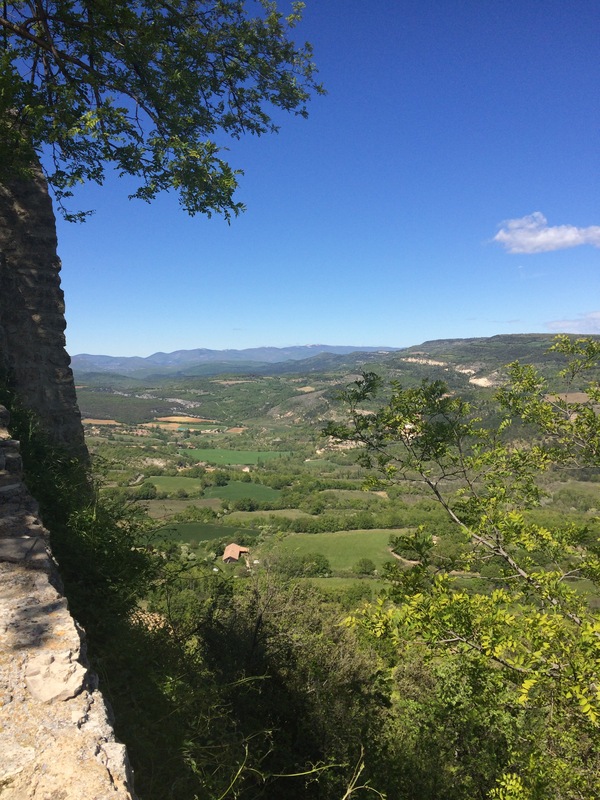 This morning I headed out of the Vaucluse and took the relatively short drive across to Forcalquier for its superb Monday market. 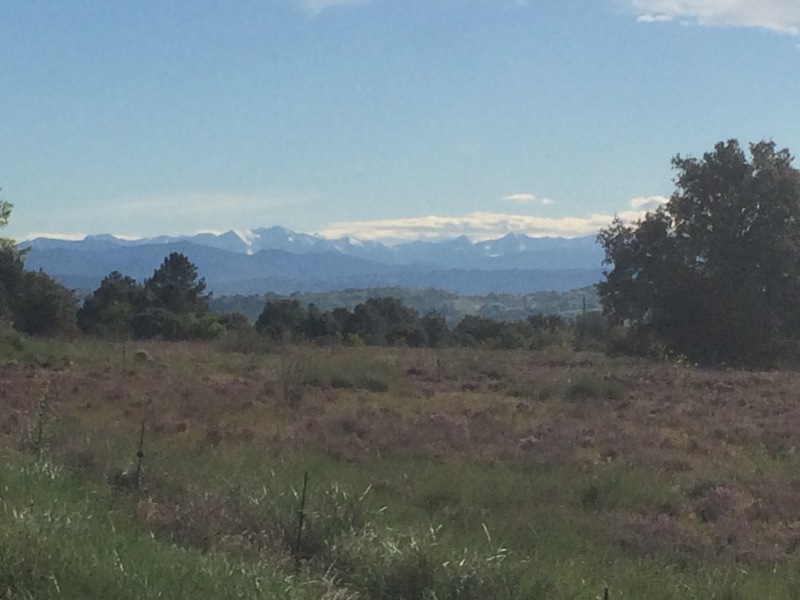 The drive itself is quite stunning, taking a plane-lined route along the northern edge of the Luberon, before it opens out onto a spectacular view across to the low Alps, which were still topped with snow this morning ( prompting a quick message to my hubby about hunting out small ski centres that there may be in the area). 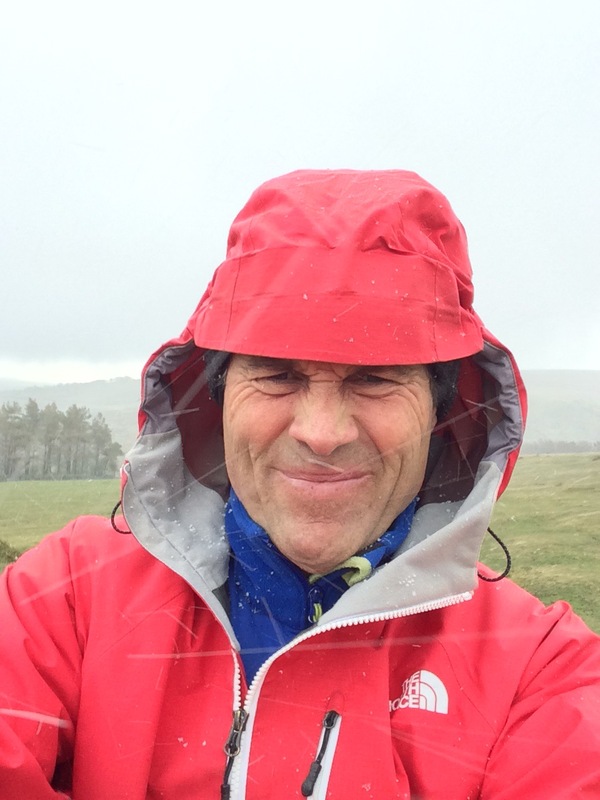 perhaps we are a bit hardier on the Moor – Andy in a hail storm 2 days ago on Dartmoor ! 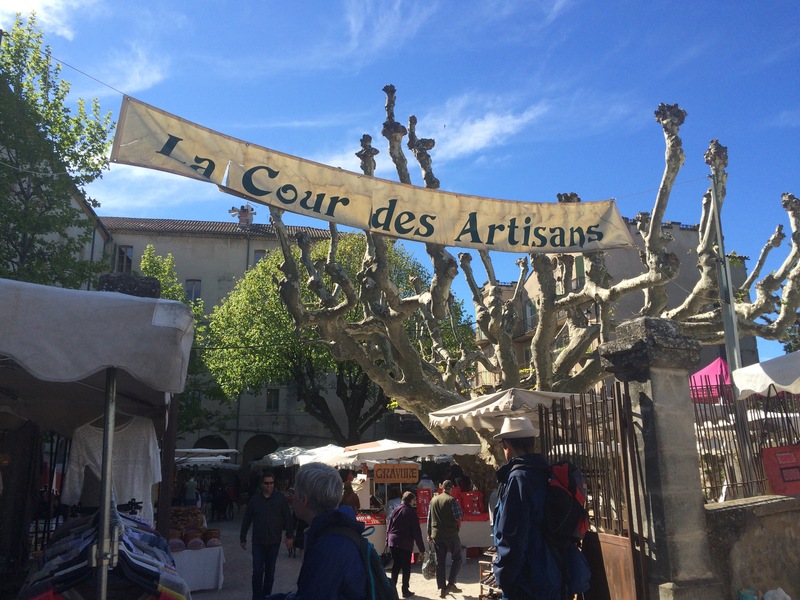 The market at Forcalquier has a great mix of general stalls, but also quite a lot of local craft stalls, mainly centred around the Cour Des Artisans, right in the heart of the market. 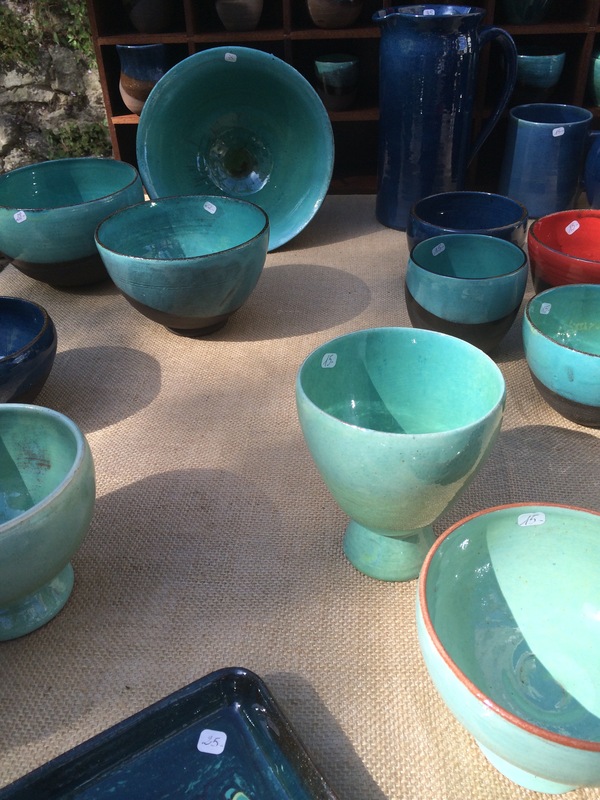 The pottery here is particularly good, with a range of styles from a number of different local makers. The potter who made the pieces below is based in Reillanne and I’ll aim to head to his studio to see if I can find a nice piece for the house. 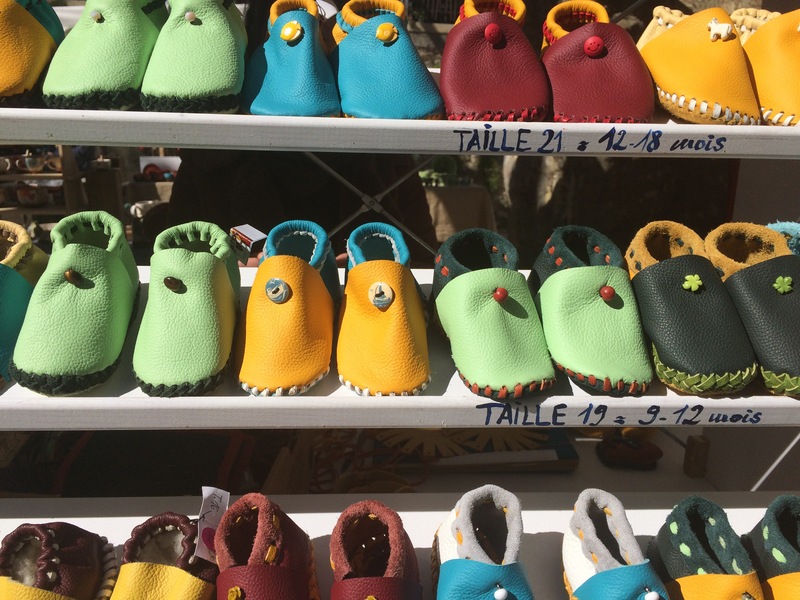 Aside from the market Forcalquier has a very pretty old town with art galleries tucked amongst houses that line the cobbled streets leading up to the Citadelle of Notre Dame De Provence. The Citadelle is a pretty octagonal building, built in the late 1800’s in the site of an earlier Medieval one, which had burnt down many years before. 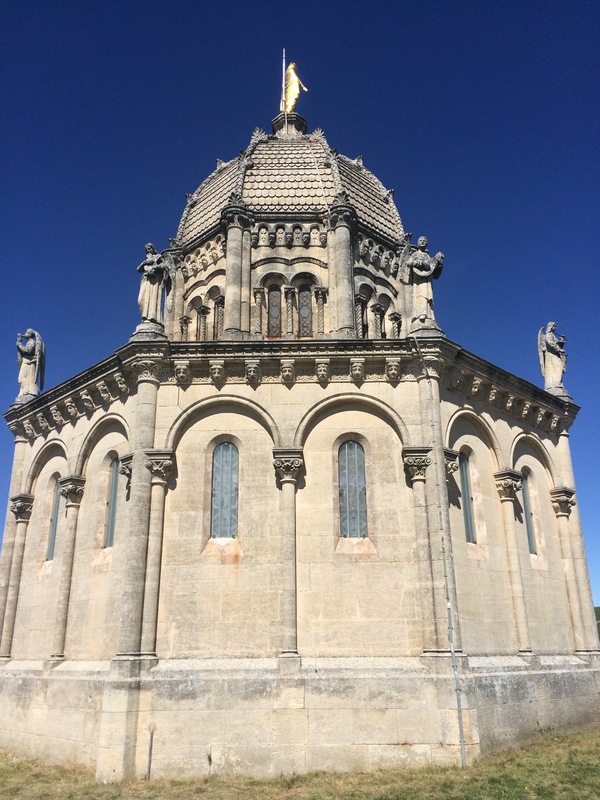 It sits comfortably above the buildings of the main town & the views from the top are quite stunning. Moments later the sun had moved higher in the sky & sadly the effect had gone. 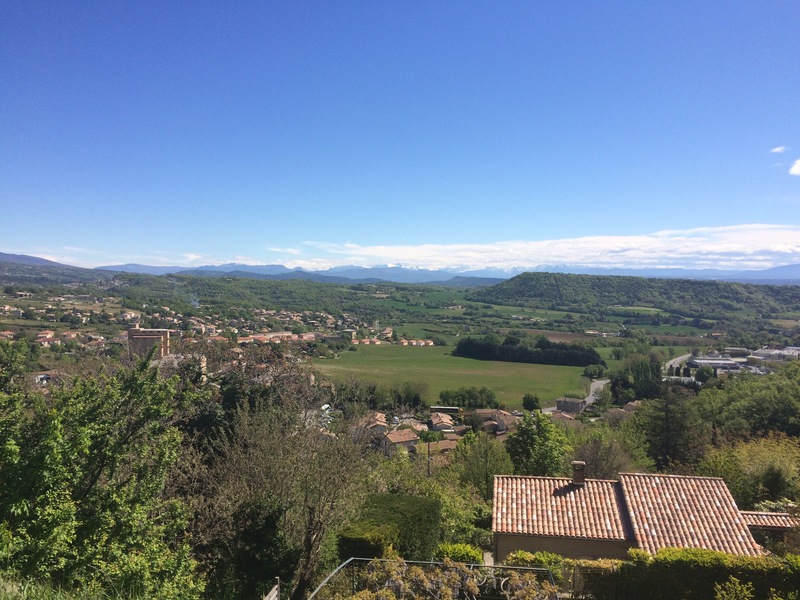 There is a large grassy area around the building giving 360 degree views and today there was still snow on the mountains behind Sisteron, offering quite a dramatic backdrop to the bright greens of Spring growth across the valley floor in front. 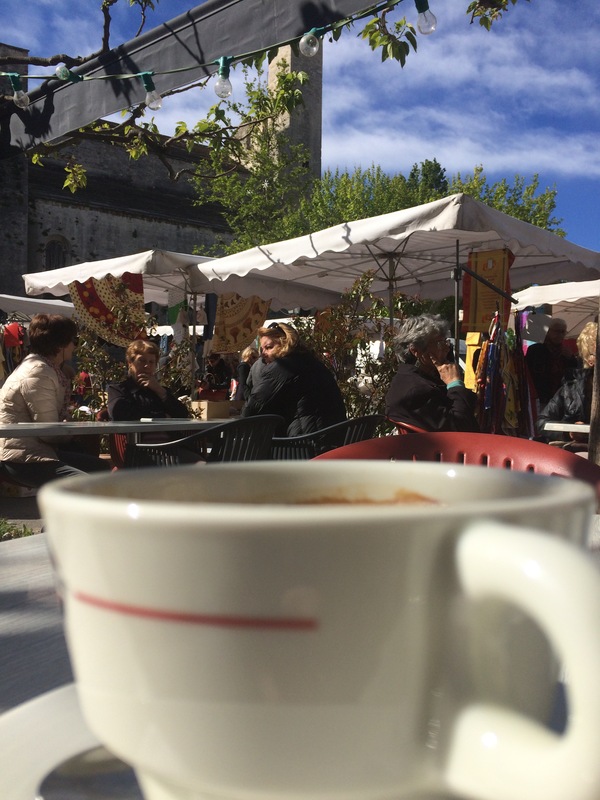 Forcalquier market always has a lovely gentle buzz to it, often with musicians setting up in different corners of the town, making it a great place to while away time with a coffee just watching the world pass by before you. heavy coats & boots are the order of the day! By the time I left it was over 20 degrees & I’d cast off my cardi, but as I walked back to the car a lady passed me wearing a thick padded jacket, with the fur-trimmed hood pulled up over her head. I think I’ll need to be here a bit longer to start feeling I need that many layers when it’s that warm! Next Post Bargain hunting at the tip! 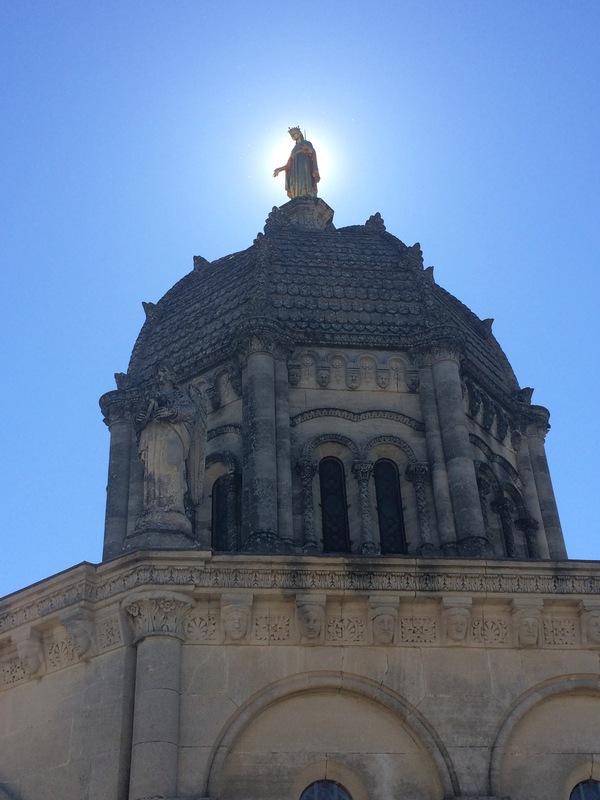 Loved the sunlight effect around the statue.